As most of you know I am a total snacker. I tend to get the cravings around 10am every morning. That sounds kind of early for snacking, but I start work around 5am and when 10am hits, I’m hungry. 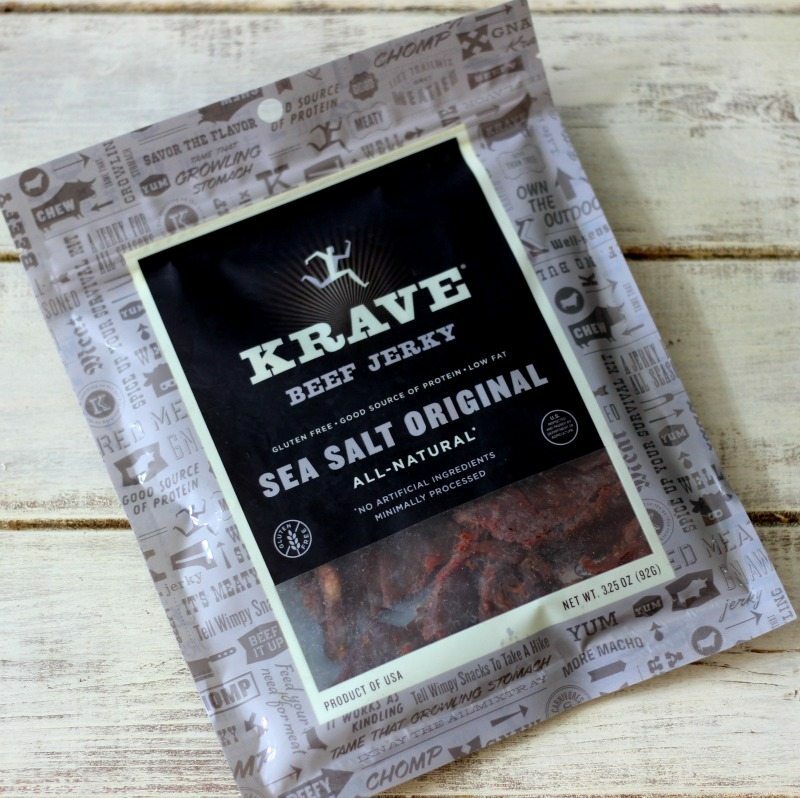 My newest snack that I like to have to keep me filled is KRAVE Jerky. Have you ever tried it? It is so good and comes in so many amazing flavors. I like to snack on it because each serving has 8-12 grams of protein, which fills you up, plus each serving is low-calorie and fat. Makes for the perfect snack. Plus it’s great for serving at parties. There is a flavor for everyone! 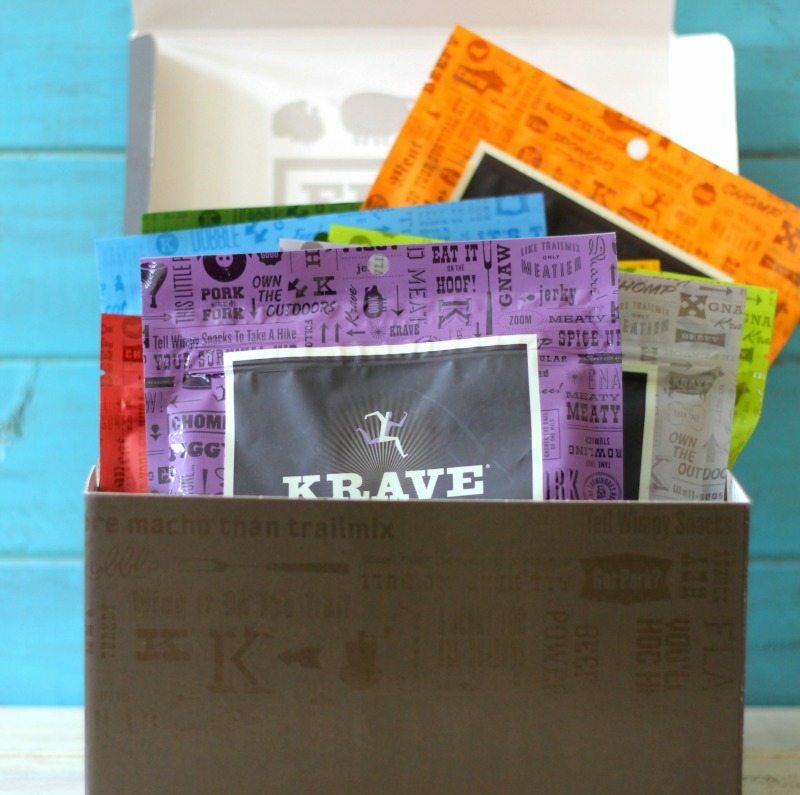 KRAVE Jerky comes in 9 amazing flavors, which I will share with you. 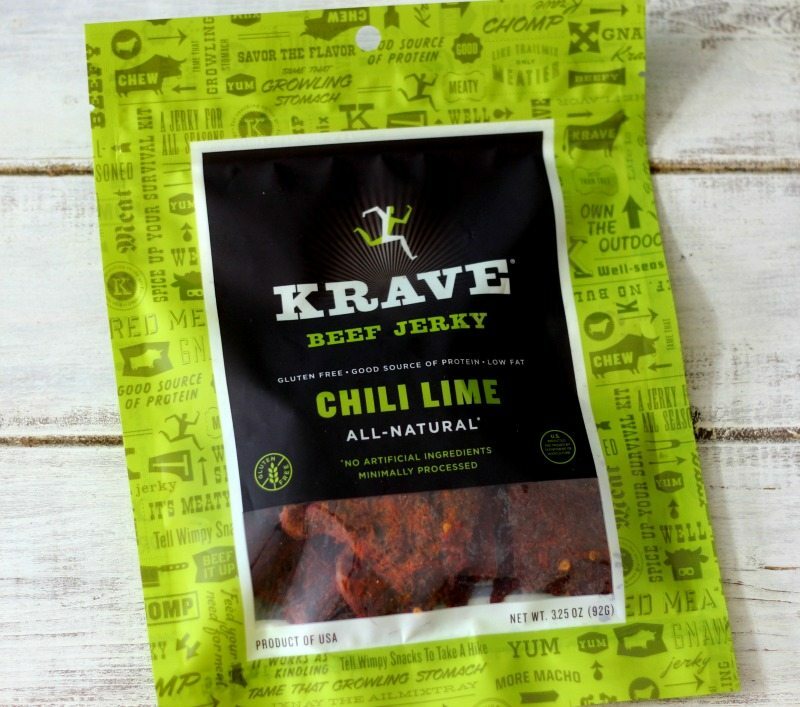 My all time favorite all time favorite KRAVE Jerky is the Beef flavored Chili Lime. OMG! I love it! It has a nice citrus flavor with a hint of spice. I could eat a whole bag in 1 serving. Sweet Chipotle is another favorite. It has a nice smoky flavor with a hint of honey and heat. It brings together sweet and savory. Sea Salt Original is very nice too. It has a basic beef jerky flavor with just a little hint of salt. Pineapple Orange has such a unique flavor. It has a Hawaiian flavor. The beef marinated in a blend of sweet orange, pineapple and tropical fruit. Yum! Lemon Garlic is juicy turkey breasts and marinated with a balanced combination of garlic, lemon and lemon pepper. 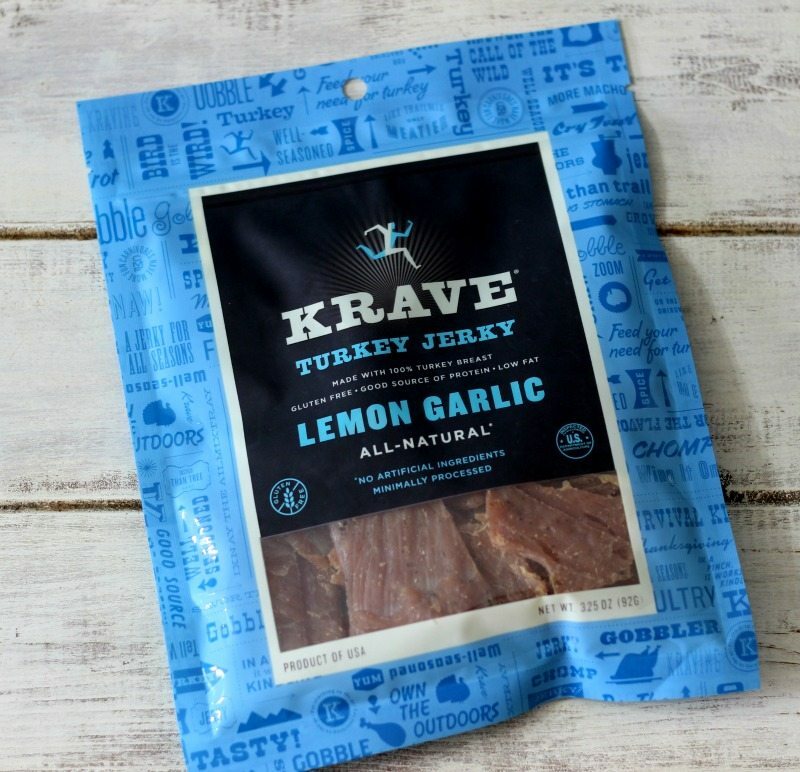 I never thought I would like turkey jerky, but it tastes amazing. Grilled Sweet Teriyaki is tender pork slices that are soaked in a smoky teriyaki soy marinade, creating a moist and flavorful jerky with a touch of sweetness complementing the natural savory profile of pork without the excess salt. This was a top favorite in the office. Garlic Chili Pepper is a yum, yum treat! 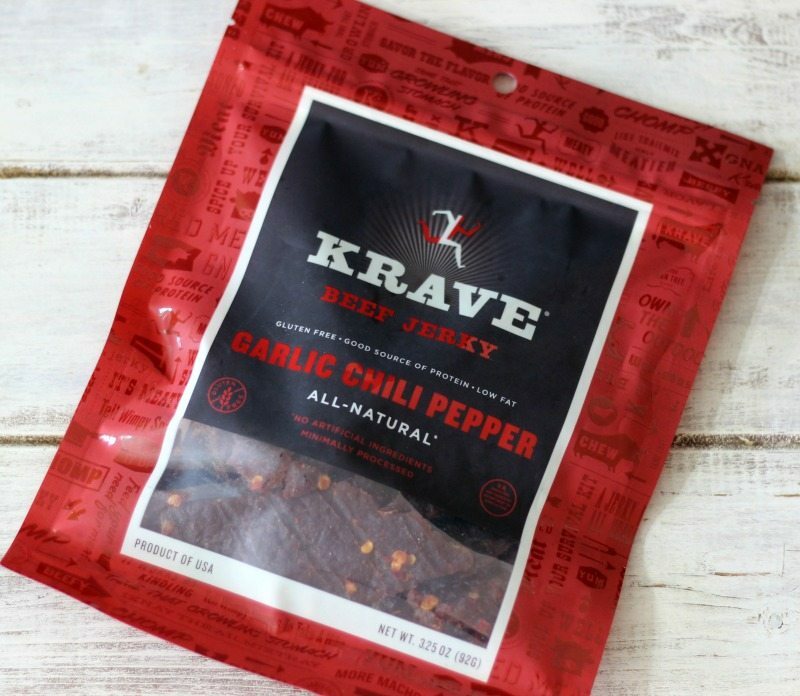 It has robust garlic and chili marinade soaks each tender slice of top round sirloin domestic beef, and is finished with real chili flakes to pack an extra punch. I love my spicy jerky! Black Cherry Barbecue is one of my co-workers favorites. It is infused tender slices of pork with our sweet and peppery, Sonoma-style, black cherry barbecue sauce. This one reminds me of summer. 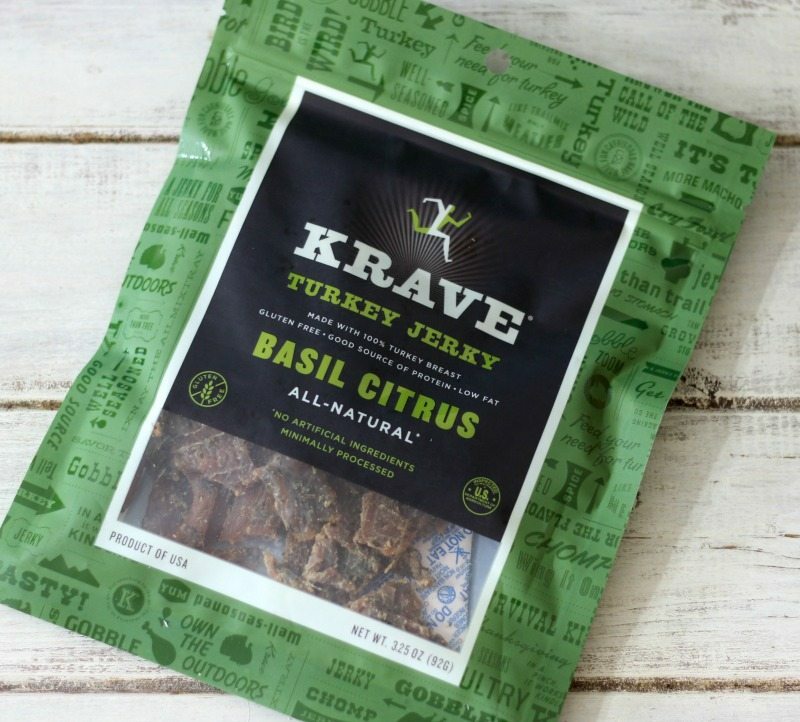 Basil Citrus Turkey Jerky is the taste of spring. It’s has clean, crisp flavor that will blow your mind. As you can tell I love my KRAVE Jerky! It’s so unique has amazing flavors for everyone. Right now KRAVE is kicking off the year with a great contest. They call it the KRAVE Better Contest. America’s favorite health and wellness expert Jillian Michaels, Super Bowl Champion Vernon Davis and Boston Marathon Champion Meb Keflezighi to promote achievements by expecting more and compromising less. You can enter to win a one on one experience with one of your favorite champions. You should check it out. All you have to do is tell me what flavor you would like to try. Just enter it in the comments below. 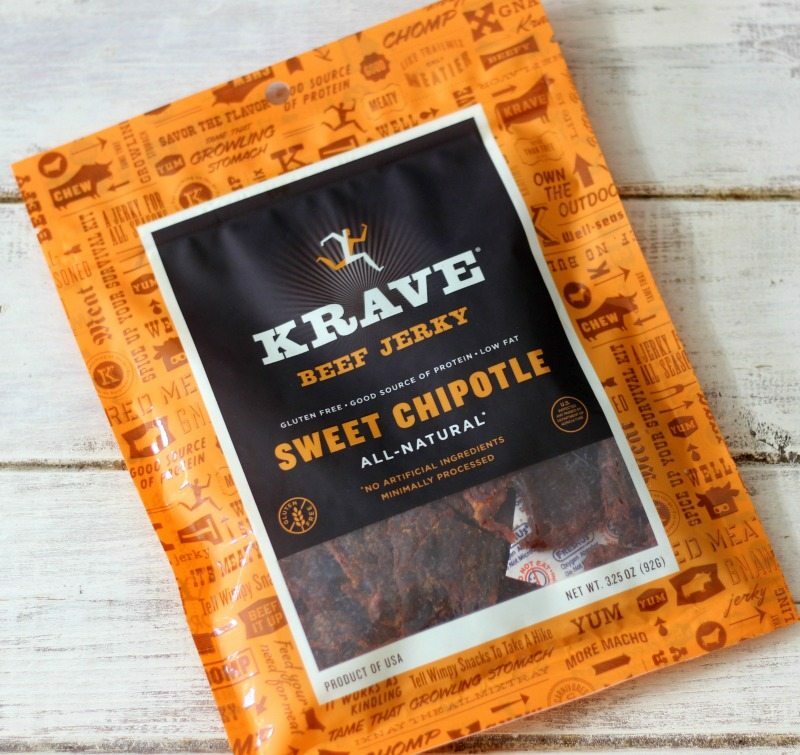 You can find KRAVE Jerky at most grocery stores and I know that Target has all of the flavors. Grilled Sweet Teriyaki! And all of them! All of the flavors sounds like they’d be good, but the sweet chipotle sounds really good! I eat breakfast at home around 5:00 before I leave for work, so like you, 10:00 is usually my snack time. I’ve been eating these little bags of roasted broad beans for 100 calories, and they have 7 grams of protein. Black Cherry Barbecue sounds very interesting. 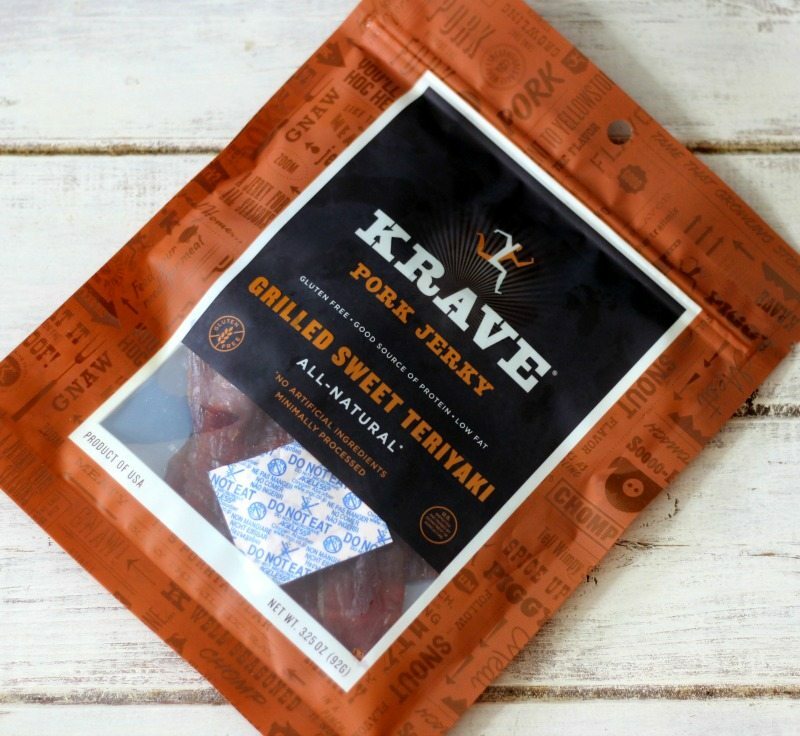 I think my kids would enjoy these even more than me, they are big beef jerky eaters! I’d love to try the Original Sea Salt! Yum! They all sound good… But I would love to try the Grilled Sweet Teriyaki! They all sound wonderful! I would like to try chili lime and I think my family would enjoy black cherry barbecue. The black cherry barbecue sounds so good!! Lemon garlic and the basil…..all sound fabulous! Thanks for the post on this new brand! Garlic Chili Pepper sounds awesome. That’s the one I would try. I would love to try the pineapple orange! The Chili Lime and Sweet chipotle sound amazing! I would love to try them all…will have to look for them at the store the next time I go. I would like to try the Grilled Sweet Teriyaki and the Pineapple Orange. Great giveaway! I’d love to try the Sweet Chipotle! I would like to try Grilled Sweet Teriyaki. Chili lime! I love this flavor combination and I think it would be delicious as jerky flavoring. The basil citrus sounds delicious! Pinapple orange sounds amazing! What great flavors YUM! Thanks for the giveaway! Sea salt original – I like to start with the basic flavor. I would love to try the Grilled Sweet Teriyaki! I would like to try the Black Cherry BBQ. My son loves anything lemon garlic flavored! Grilled Sweet Teriyaki or Black Cherry BBQ! I would love to try the pineapple orange. I have never seen that flavor before but it sounds delicious. 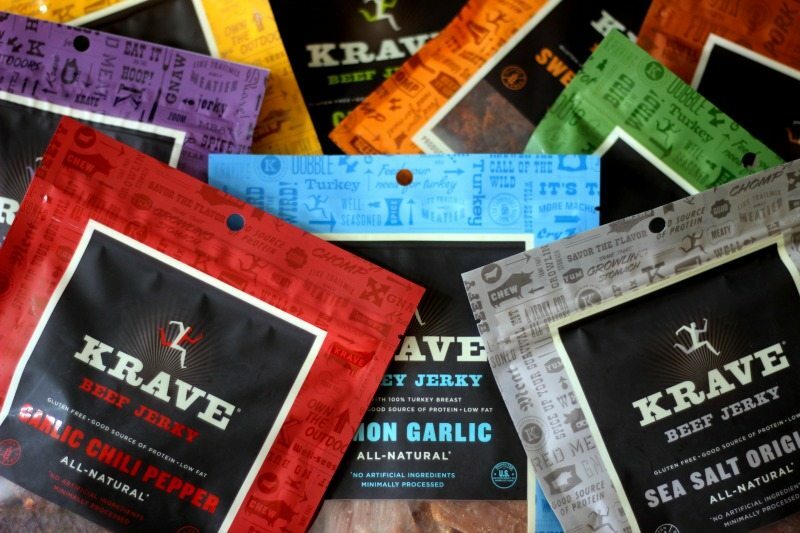 Krave is the only brand of jerky I buy. Pineapple Orange would probably be the first I would like to try, my love of citrus gets the best of me at times. Thank you for the chance! 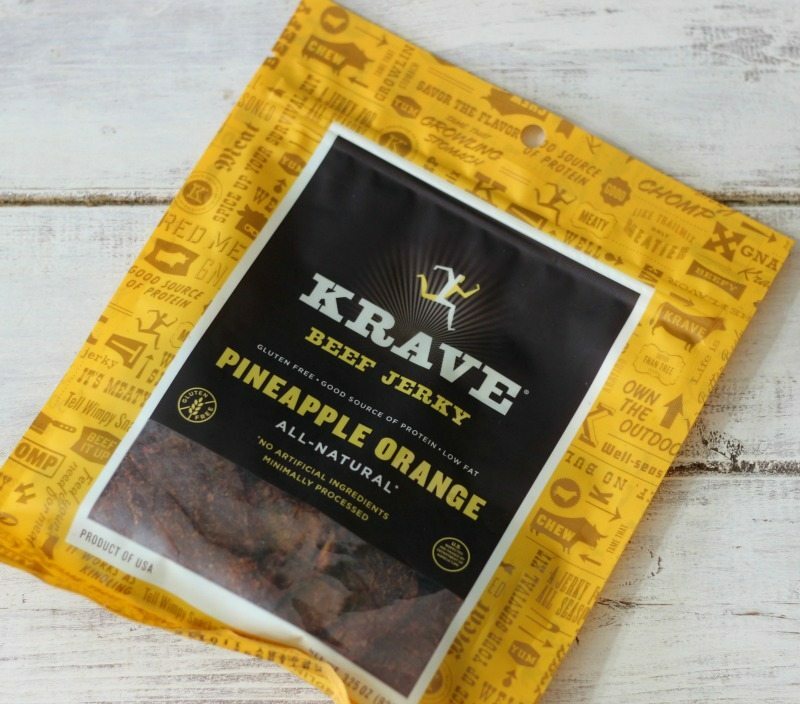 I’ve NEVER heard of pineapple orange jerky – so gotta try! I’d like to try Grilled Sweet Teriyaki. All the flavors sound great…no wonder you love them. The first one I would like to try is the black cherry BBQ. thanks for the great giveaway. The Black Cherry Barbecue sounds so yummy to me! All of the flavors look good, but the sweet chipotle is the one that interests me the most. I would like to try the Grilled Sweet Teriyaki! I would like to try the garlic chili pepper. I would love to try Pineapple Orange. Thank you so much for offering such a wonderful giveaway! 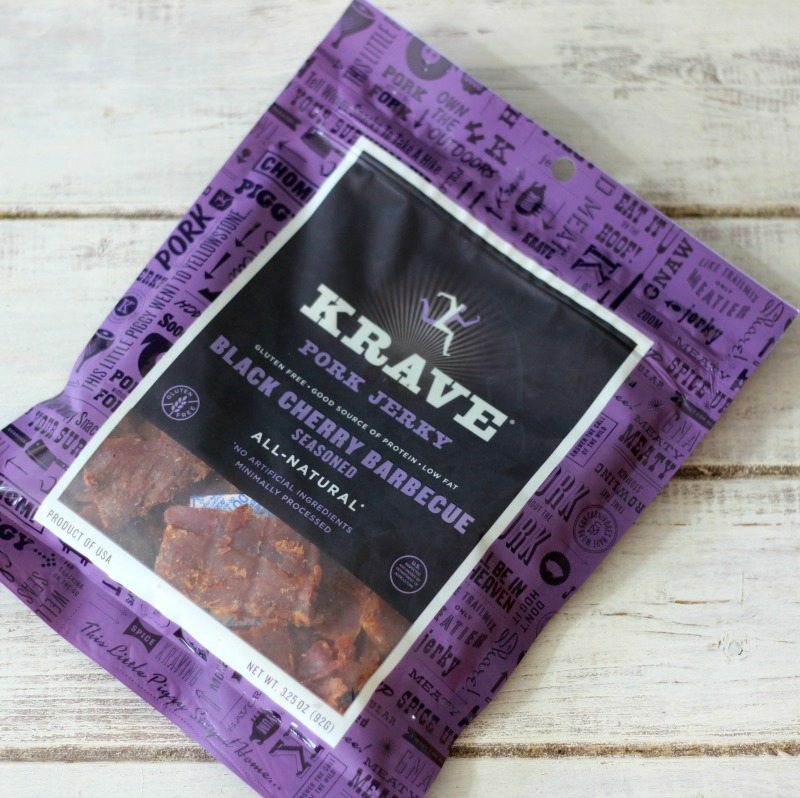 Beef Jerky is my favorite food and Krave is the best tasting brand of them all! All of these flavors look delicious but I would love to try the Pineapple Orange! Thank You for the opportunity! I’d like to try all the flavors but I think my favorite might be Garlic Chili Pepper.